Thank you all for supporting my sweet Jovi's blog. I love that it continues to get read and it means the world to me that I have people who come back to read her/our story. To show my appreciation, I wanted to do a little giveaway. I would like to show my appreciation by giving away my "favorite" (who wants a favorite grief book?) 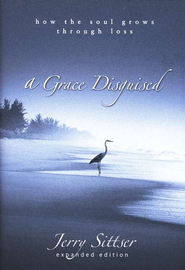 book on loss- "A Grace Disguised". If you want to be included, post a comment on this post. Thank you all for supporting our family and continuing to keep Jovi's story alive. Giveaway ends a week from today. I'll post the winner on Monday, April 1st. Good luck!